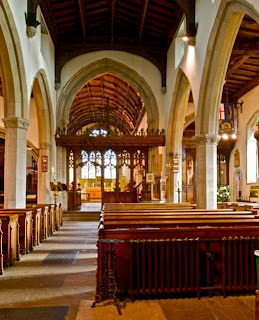 Tracing its origins to the 13th century, major renovations to the church were made in 1882 by A.W. Blomfield. Contrary to some conflicting documentation, the altar reredos is not by Salviati. However, Blomfield did design a combination of glass and mosaic to cover an existing window on the north side, in the Sanctuary. 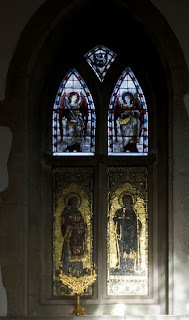 The cartoons were made by Heaton, Butler and Bayne, the firm known predominantly for making stained glass windows and they were executed by the Venice and Murano Glass Company. Barr, Sheldon. Venetian Mosaic Glass: 1860-1917. London: Antique Collectors' Club, 2008. 125. 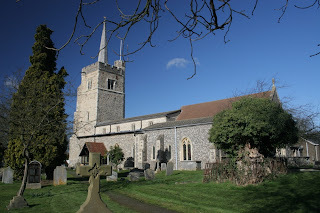 Aldenham Parish. 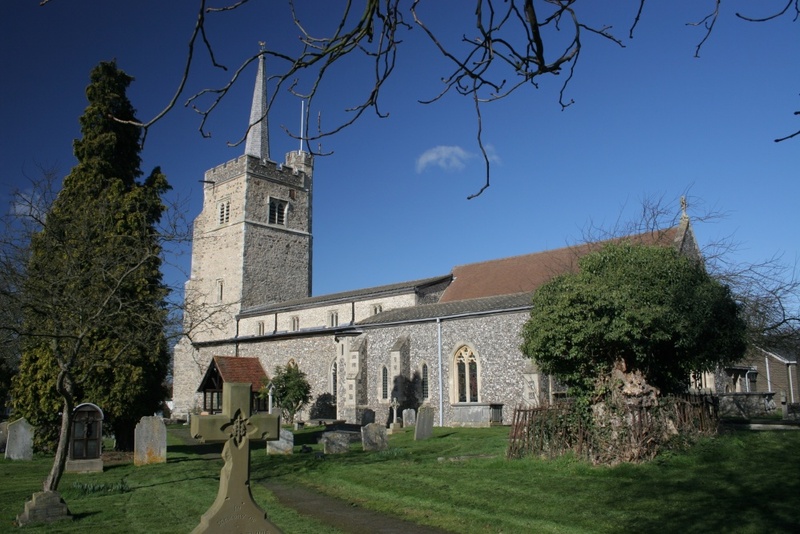 The Parish Registrers: 1559-1659. Privately printed, 1902. 205.